Our Student Handbo​ok contains a wealth of information about our schools, including assessment dates, report card information, student learning, the Code of Conduct, safety in schools, healthy living tips, technology use and much more. Walk into any classroom, and you will find children at various stages of social, physical and intellectual development. No two children are exactly the same, even if they're the same age. Each child has unique learning needs—strengths and areas that need improvement. Learning styles and preferences are unique to each student. That's true of same-grade classrooms, just like combined grade groups. Teachers are highly trained to adjust the learning program in the classroom to the needs of each student's individual learning needs. In combined grade classes, teachers use these same strategies to teach the curriculum for both grades. ​Students in a combined grade class follow expectations for their specific grade. Just as in same-grade classes, teachers in combined grades use a wide range of teaching strategies to make sure they cover all of the curriculum expectations. Children in combined grade classes will spend time learning as a whole class, in small groups and individually. Sometimes they will be grouped based on a specific task and other times the teacher will group them based on their learning needs. In many areas of the Ontario curriculum, the overall expectations do not change from one grade to the next, but students learn the skill with a greater level of complexity as they progress from grade to grade. In a combined grade 3/4 class, all of the students would spend time reading to improve their comprehension. The grade 3 students would be learning to restate important ideas from a text, while the grade 4 students would be learning to make an outline of a section of reading. The same students might then do a writing assignment. The grade 3s would be expected to use joining words to combine simple sentences, while the grade 4s would be required to use sentences of different lengths and complexity. The teacher may have the whole class participate in a common activity, followed by small group or individual work on grade-specific curriculum expectations. For example, in a grade 1/2 combined grade class, when teaching the life systems strand of science, the teacher might start by showing a video about a specific animal. The grade 1 students would do a follow-up activity to identify the characteristics and needs of living things, while the grade 2 students would focus on growth and change in animals. Students are not always learning new information or concepts—they also need to review, consolidate and refine their learning and build on previous learning to do a more complex task. In a grade 5/6 combined grade math class, for example, the teacher might review the concept of place value with the whole class. Then the students would work on the grade-specific expectations. Grade 5 students would be practicing math problems with place values up to 100,000 and decimals to hundredths, while grade 6 students would work on problems with place values up to 1,000,000 and decimals to thousandths. Or if working on measurement, the whole class might work on an activity requiring them to estimate, measure and record perimeter and area of various items. The grade 6s would need to demonstrate a greater level of accuracy, based on the curriculum expectations, than the grade 5s. Even in subjects, such as social studies and science, that have different topics to cover in different grades, the curriculum expectations in each grade are not just about the facts students are expected to learn. There are many common skills for students to learn, such as research, scientific inquiry, experimentation and problem solving. The teacher might present research skills to the whole class, and then assign grade-specific research projects. At other times, the teacher will present two different lessons to the students, based on the different curriculum for the two grades. While working with one grade level of students, the teacher will have the other students do individual or group projects or work in learning centres in the classroom. ​​You may be concerned about how well your child will learn in a combined grade class. Years of research show that students in combined grades do just as well academically as students in single-grade classes. In fact, some students actually do better in language and reading. You may also wonder about the emotional impact on your child—will your child receive the same amount of individual attention from the teacher in a combined grade as in a single-grade class. It's important to understand that the number of students in the class, not the grade structure, determines the amount of time the teacher has to spend with each individual student. Students in combined classes often do better emotionally and socially. Combined grade classes have been found to foster greater independence, better social skills and increased motivation to learn. You are important to your child's success—in a combined grade, the same as a same-grade class. The more you know about your child's education, the more you will be able to help your child learn and succeed. Here are some ways you can support your child's learning. Become familiar with the curriculum for your child's grade. You can find it on the Ministry of Education website at www.edu.gov.on.ca or in your school library. Read information from your child's teacher and school. 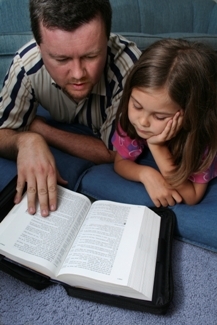 Ask your child to tell you about schoolwork that is brought home. Talk with your child about her school experience. Communicate with your child's teacher about his individual learning needs. If you have questions, talk to the teacher about the strategies that are being used to cover the combined grade curriculum. Connect with the school. Attend parent information nights and other school events. Volunteer at the school if you have the time. Attend a school council meeting.